Betty & Co striped jersey top. 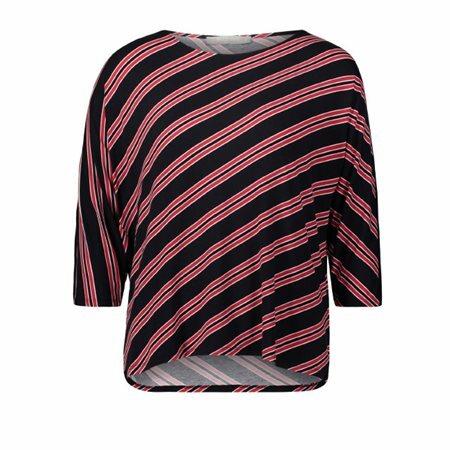 This sporty top features dropped shoulders, three-quarter length batwing sleeves and bold horizontal stripes combined with vertical stripes at the sides for figure flattering effect. It has a wide plain hem and combines res, white and navy.